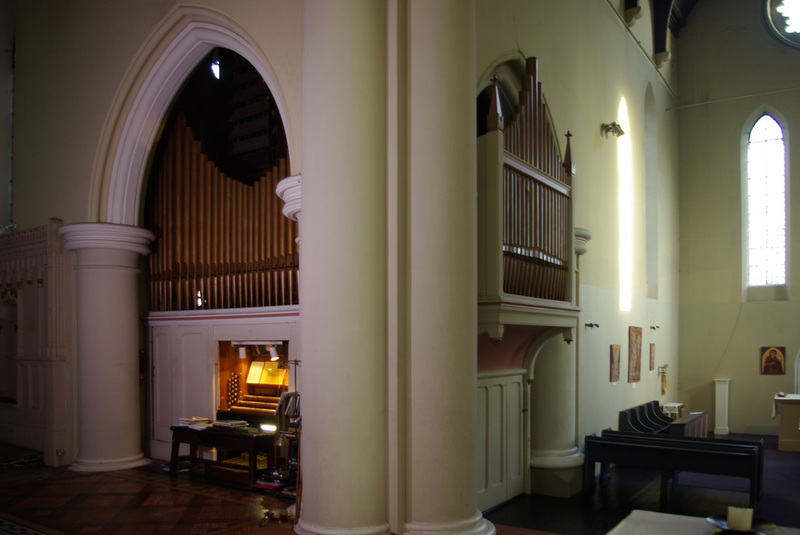 The organ in St John’s is doubly historic, both for the amount of eighteenth- century material contained within it and for the now very rare action mechanism installed in the nineteenth century, and for its connection with William Wilberforce, The Clapham Sect and the anti-slavery movement. It was originally built in 1794 by William and Robert Gray for the west gallery of Holy Trinity Church, Clapham, London. The panels below are taken from the new history exhibition which now surrounds the organ, more info about this by clicking here. Holy Trinity Clapham is the church where Wilberforce and his colleagues developed their plans to rid the world of slavery. Fifty years later the original intention of the architects of the new church of St John's Notting Hill, London, was for a newly-built organ in the North Transept but money was short. The Gray organ was purchased second hand from Clapham in 1846 and installed by J.C.Bishop in the then conventional position on the west gallery. Following the mid-Victorian Tractarian trend for robed east-end choirs (instead of un-robed in the gallery) the organ was moved in 1873 to its former position in the Lady Chapel in order to accompany the choir in its then new position in the chancel. 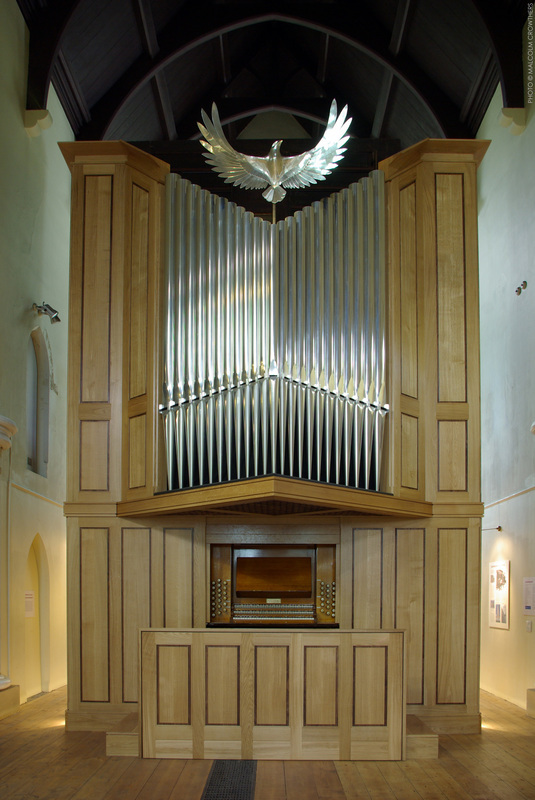 Forty years after its arrival in St John’s Church the by then 90 year old organ had become seriously old-fashioned and the instrument was reconstructed by George Hele of Plymouth in 1885. This work was carried out economically; the London organbuilders of the time would certainly have retained much less of the original instrument. As it was, nearly all the Gray pipes were kept as were two out of the three Gray soundboards. The Hele work included new Barker lever action to the Great organ. Barker action was invented by Charles Spackman Barker to lighten the pressure needed on the keys to open the pallet valves that let air into the organ pipes - following complaints from the organist of York Minster that playing the organ was ‘labour fit for a horse’. Instead of finger power, Barker action uses pneumatic power (in the form of small bellows) to open the valves. It was always expensive to make and so was only fitted to larger instruments. This action is now very rare; it was only made for a relatively short period, being superseded by tubular action from 1890 onwards (following an exhibition organ made in 1885). The action of the Pedal organ (played with the feet) is also of a rare type, being a very early tubular mechanism using the Barker principle. When the organ moved to the church in 1846 its original Georgian case was replaced with a Gothic case in keeping with the style of the times. When it moved to the Lady Chapel in 1873 the Gothic case case would not fit in the new position and large parts of it were lost. The rear pipe guard of the Gothic case remains and has been incorporated into a new case designed in modern style by architect Simon Ablett and built by Penny's Mill.